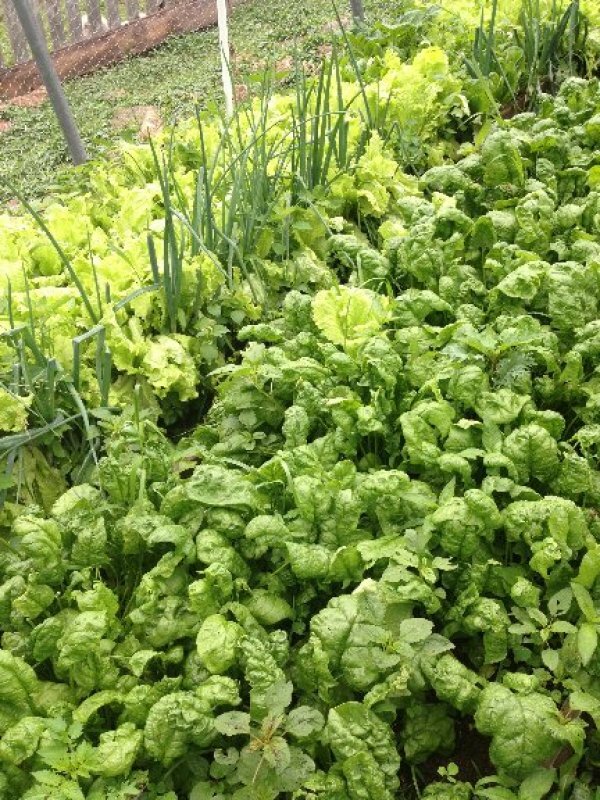 In the raised beds by the Barnhouse we get an early start with greens. By June there’s already a nice crop of turnip greens, collards, kale, and spinach. The onions are up and we’re enjoying their tops in salads with the young lettuce mix. Swiss chard is coming on and we’re harvesting some of the native “creasy”—tasty, peppery Upland Cress.